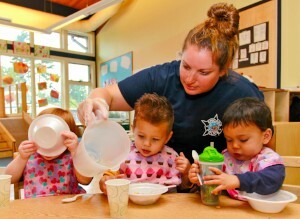 Are you thinking about starting your own child care business? If you enjoy being around children, want to be your own boss, and have a meaningful career where you can grow professionally, then becoming a child care provider may be right for you. Here's How We Can Help! We can help you obtain application materials, provide you with resources and with information about the process of starting a program, and help you with understanding all the legal requirements. Open a School Age Care Program or a Family Child Care Program in your home. Please contact Priscilla Blanco at 877-425-0009 x458 or email priscillab@rocklandchildcare.org for more information. Start an Early Childhood Center. Please contact Elaine Trotta at 877-425-0009 x421 or email elainet@rocklandchildcare.org for more information. For additional information and resources concerning opening a child care program go to Child Care Aware of America. You may also contact the NYS Office of Children and Family Services Spring Valley Regional Office for information about orientation for Child Care Centers and Group Family Child Care Programs at 845-708-2400.